Whenever we pour some water from the sink tap, we expect it to taste clean and cool. Whenever we pour some water from the sink tap, we expect it to taste clean and cool. Even in the winter, it’s important to stay hydrated. But if you’re worried about the taste of your tap water, you usually compensate by getting a filtration system. How often do you think about iron, zinc, or manganese? These metals are also mineral supplements that you might need in your body. But these metals can also leach into the water due to aging pipes or water heaters. There might also be some lead in your water that you don’t realize. If your water tastes like metal, then it is time to replace your pipes. Mold is another huge problem when it comes to sources of water. The most common cause of moldy smelling water is due to algae growing on the water supply somewhere else. If you’re finding it hard to drink the water, try to chill it and refrigerate it. If this doesn’t solve the problem, then look up information about the local water supply for your neighborhood to see if anything is different. It may also be time to clean the tap, sink, and water fixtures in your kitchen or your bathroom. Does your water smell like rotten eggs? It’s a disgusting situation caused by the presence of hydrogen sulfide. Although it’s not dangerous, it sounds like it is. However, it can corrode your pipes and cause your water to turn black. Sometimes, you will smell or taste salt. There’s probably chloride in your water. 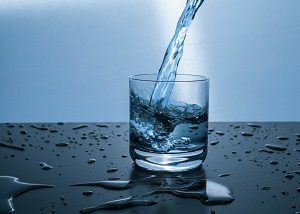 If your water tastes unusually salty, it could be contaminated with sewage. If you think that could be the problem, then you should get your water tested as soon as possible. This entry was posted on Friday, November 16th, 2018 at 5:43 pm. Both comments and pings are currently closed.